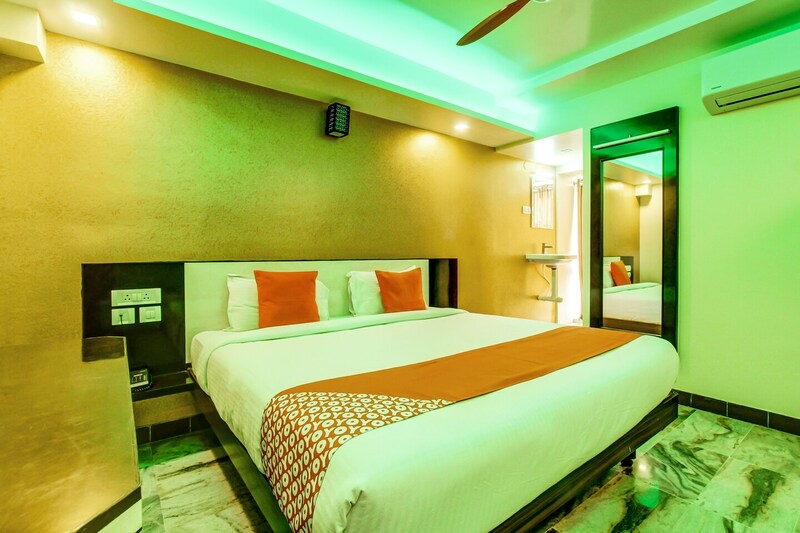 With elegant and appealing interiors, Hotel Lotus Madurai is a wonderful hotel that will definitely allow you to have a pleasant trip. The reception welcomes you warmly with beautiful woodwork and ceiling design. The rooms are fabulous with beautiful lighting, bright wallpaper, wall painting and bright curtains that you can draw and feel the sunlight. The rooms are fully furnished with all essential amenities that are convenient for all. They are immaculate and very spacious. The hotel also provides with other facilities like mini-fridge where you can keep your food items fresh, hair-dryer, parking facility and laundry service. It also has a banquet hall and a conference room where seminars, conferences and various kinds of functions can be organized.